In a 5-4 decision, the United States Supreme Court has effectively struck down Chicago’s gun law and extended its earlier ruling on the Second Amendment to all states as a fundamental right. It is the decision that some of us anticipated as consistent with past rulings on fundamental rights. The impact will be considerable as all states will now have to respect the individual right of gun ownership under the Second Amendment. We see no need to reconsider that interpretation here. For many decades, the question of the rights protected by the Fourteenth Amendment against state infringement has been analyzed under the Due Process Clause of that Amendment and not under the Privileges or Immunities Clause. We therefore decline to disturb the Slaughter House holding. The opinion is somewhat fractured. Alito is joined by three Justices in finding the Second Amendment right of gun ownership is incorporated through the Due Process Clause. Justice Clarence Thomas agrees the Amendment is incorporated, but not under Due Process. This may be a slight disappointment. When Warren forged rulings like Brown and Miranda, he struggled to guarantee a solid if not unanimous voice of the Court. This is a landmark conservative ruling, but lacks that solidity in rationale. The opinion itself directly deals with the prohibition on firearms in the home. That leaves room for future cases to explore other restrictions such as possession of guns on the street or particularly locales. There are no true absolute rights in the Bill of Rights. Even speech and religion can be limited under some circumstances. The same will be true for gun rights. U. S., at ___ (slip op., at 26); see also id., at ___ (slip op., at 56) (stating that the “inherent right of self-defense has been central to the Second Amendment right”). Explaining that “the need for defense of self, family, and property is most acute” in the home, ibid., we found that this right applies to handguns because they are “the most preferred firearm in the nation to ‘keep’ and use for protection of one’s home and family,” id., at ___ (slip op., at 57) (some internal quotation marks omitted); see also id., at ___ (slip op., at 56) (noting that handguns are “overwhelmingly chosen by American society for [the] lawful purpose” of self-defense); id., at ___ (slip op., at 57) (“[T]he American people have considered the handgun to be the quintessential self-defense weapon”). Thus, we concluded, citizens must be permitted “to use [handguns] for the core lawful purpose of self-defense.” Id., at ___ (slip op., at 58). Notably, the Court does not expressly strike down the Chicago law and instead leaves that to the later decisions from the lower courts. 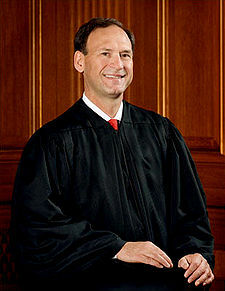 Indeed, Alito gives little guidance to lower courts which are left to grapple with the decision. One fascinating aspect of this case is the victory of so-called Brandeis briefs — briefs from amicus with data and statistics designed to push the Court to a particular result. The first two footnotes in the opinion rely on statistics from amicus briefs as opposed to the trial or appellate record. While these briefs have argument and not just statistics, the Court continues to rely on such briefs. I have been a longtime critic of Brandeis briefs. It will be interesting (and likely) to see the decision raised today in the Kagan hearings. Kagan previously stated that she is not sympathetic with gun rights claims. She may be asked if she would view this matter closed under principles of stare decisis now that a decision has been rendered. Notably, since Justice Stevens wrote one of the dissents, Kagan would not have changed the result. This is a developing blog entry. This is most interesting as the CCC is approaching the problem from a sales restriction and redefinition of “the Castle doctrine” in re self-defense. The idea here is that the military is something different than the militia and the militia was something to DEFEND against the federal army (military). The militia is the collective fire power of the American people separate from the rule of the federal government as the founders knew the most dangerous thing on earth (outside of anarchy) is abusive government which needs to be checked, if necessary, by force BY the people.